There is a consistency to the cars that come out of the Work camp. They most certainly take a different approach to other shops in the same discipline, and I think that that is what sets them apart from the rest. Mildly modified, naturally aspirated B-series engines that are catered more towards reliability than high power are what you’ll find in nearly every car the shop works on. 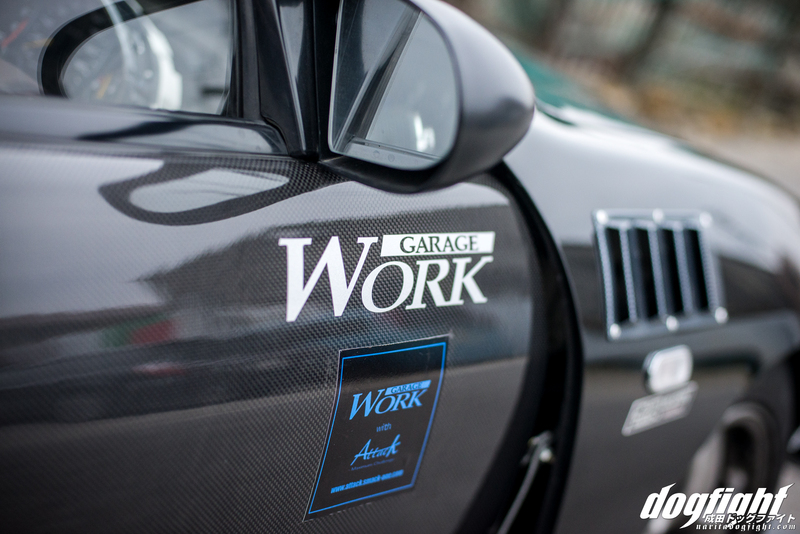 Not one for high horsepower builds, Garage Work shines in the area of suspension tuning and chassis modification of their lightweight Hondas. 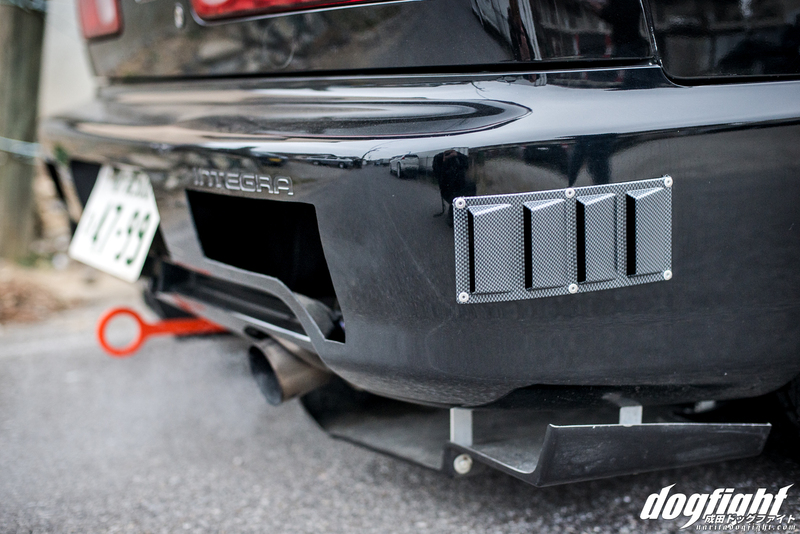 This distinct facet of Iwata’s tuning shows throughout each car he touches. 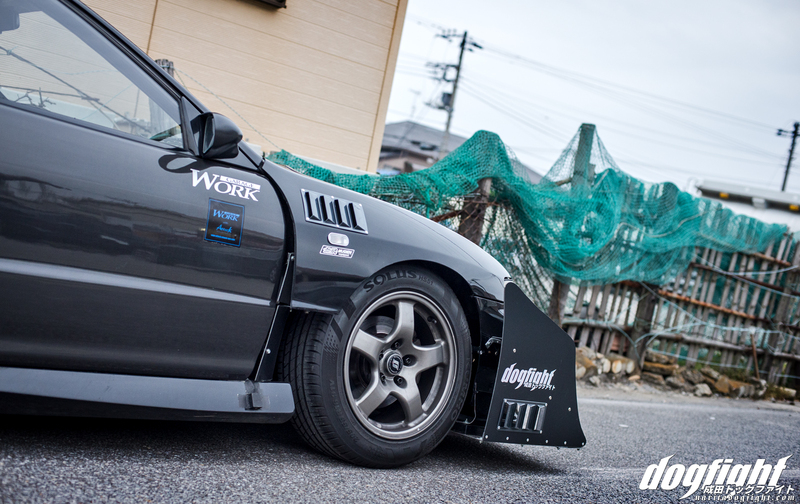 Sato Kakuchi’s DC2 is a perfect embodiment of the shop’s raw persona. 腹黒い (Haraguroi), the Japanese term for ‘malicious’. A word that describes Sato’s car quite well. It’s black, aggressive exterior alludes to what would be an ‘evil’ relative of the family (if this were some sort of daytime drama). That couldn’t be further from the truth, however, as Sato’s cheery, yet often times serious, demeanor is quite the opposite. 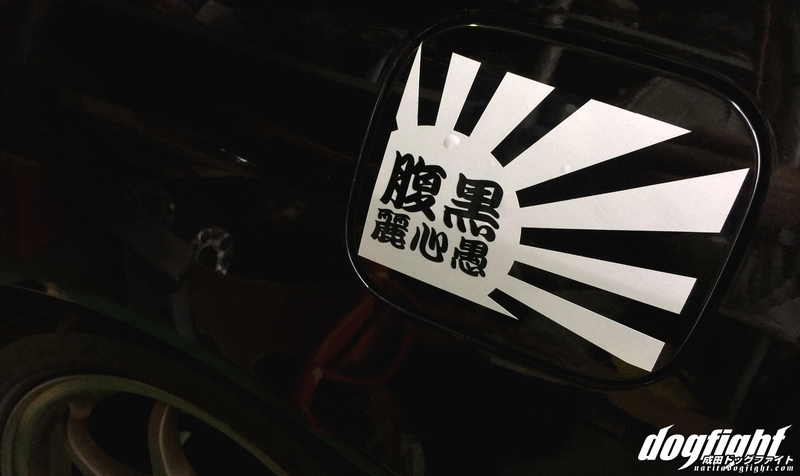 The decal on his gas cap cover more or less represents his take on circuit driving. By any definition of the term this is a street car. Despite the crude front end, the carbon doors, and stripped interior, the car still houses an ETC reader and Sato drives the car everywhere. 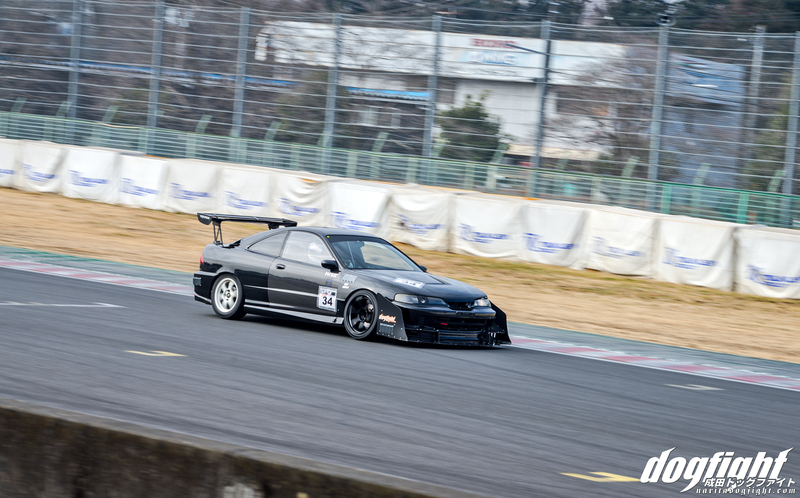 The modified off-the-shelf aero parts give the car it’s distinct circuit styling as well as provide the downforce the featherweight Integra needs to stay planted around the turns. Front wheel drive cars are, of course, notorious for understeer. While Sato and the gang have all but eliminated that flaw through dampening and spring rate tuning, the added effects of the aero have been proven over and over again on track. 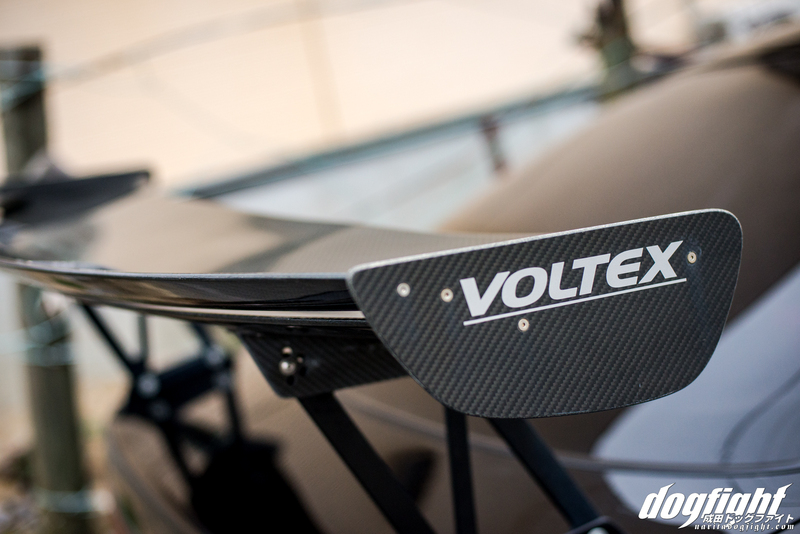 A Voltex GT wing, rear diffuser and the custom cuts in the rear bumper round out the modifications aft of the car. 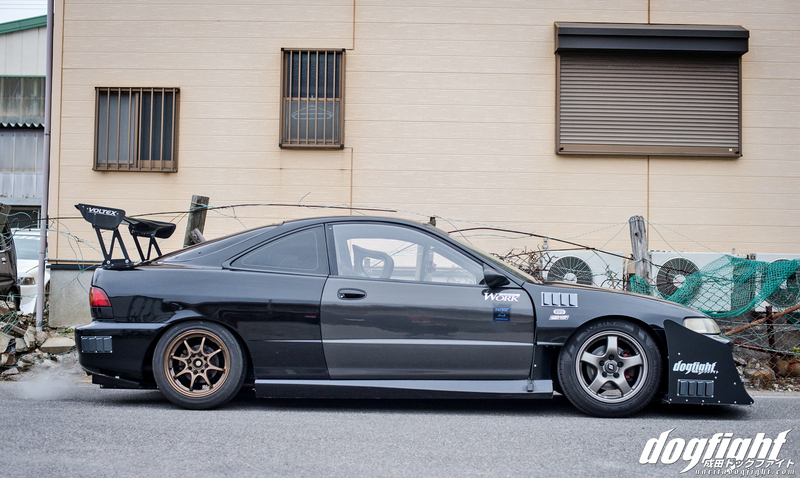 Forged Volk CE28’s in a bronze finish, wrapped in 195 tires make up half of the daily driven setup. 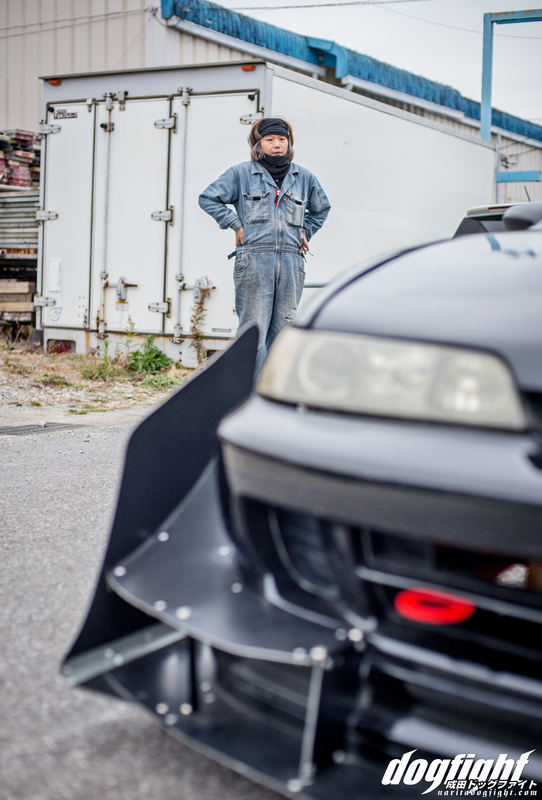 Up front Sato uses a R32 wheel and a rather commuter inspired tire sized 205/55 – I wasn’t kidding when I said he daily’s the car. Hey, still looks good though, right? Given the appearance, you could probably guess the shop without needing the decals. 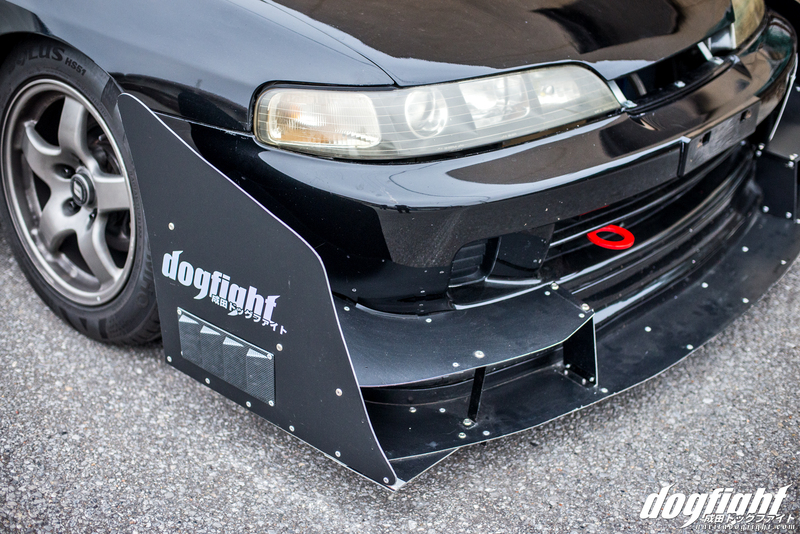 Signature front aero matches the OE bumper quite nicely. 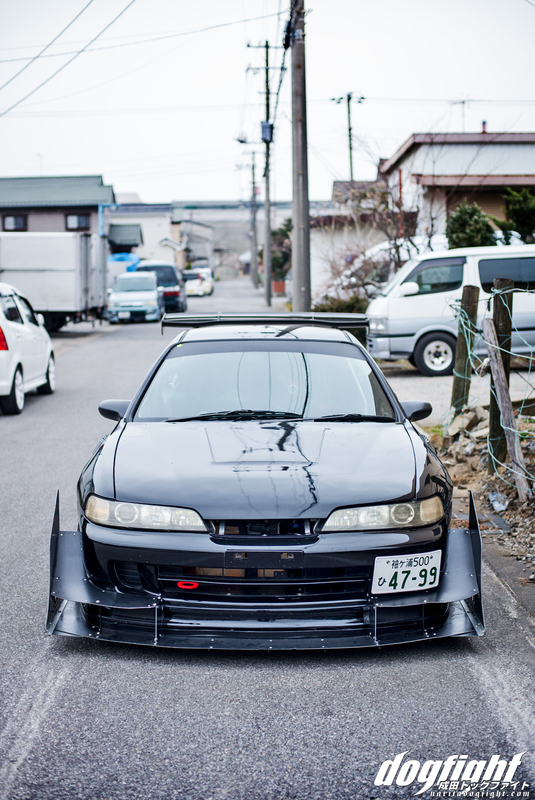 A very well put together car in all respects; even in it’s street form. 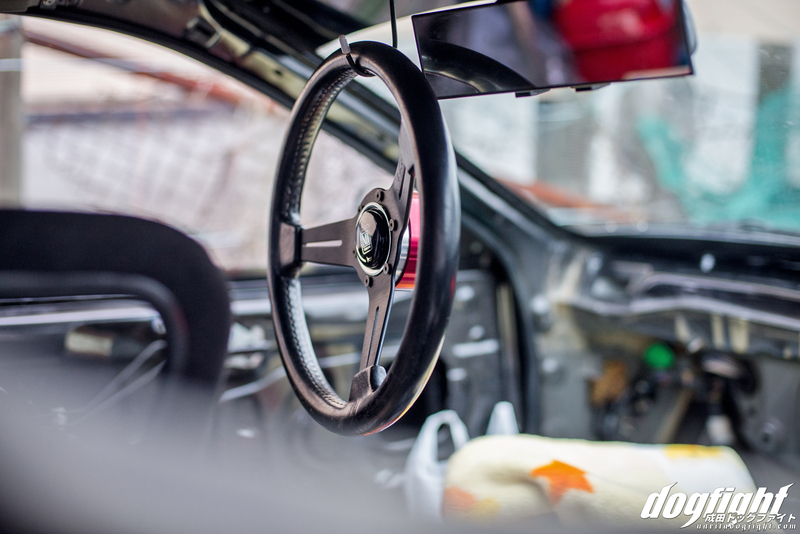 However, the interior is a different story…. 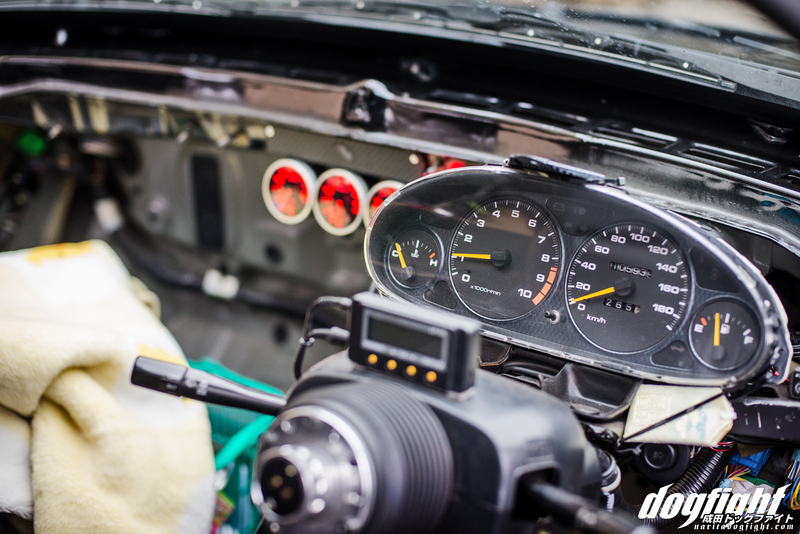 …all but the steering column, the cluster, a few gauges and the driver’s seat has been void of the inside. 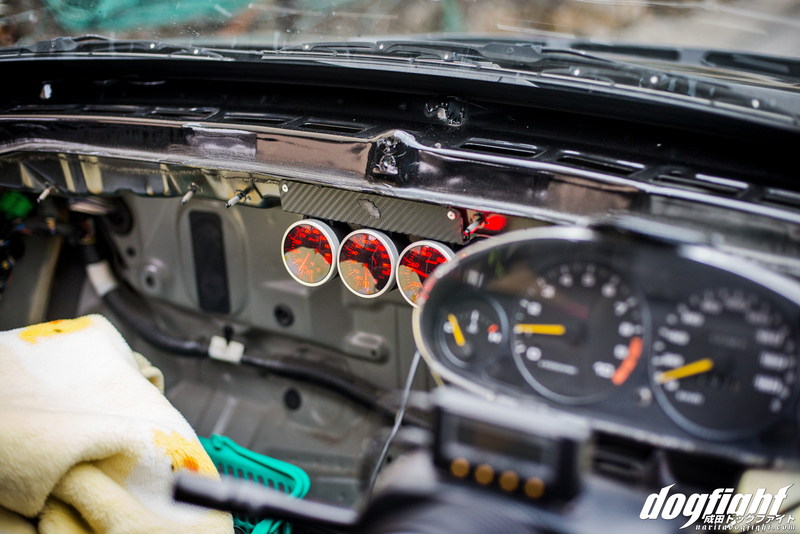 No carpet, no dashboard, no door cards; most every amenity removed for the sake of lightening the chassis. Not much to it, but that’s the point. Iwata caught on a cigarette breath, deep in thought…maybe. 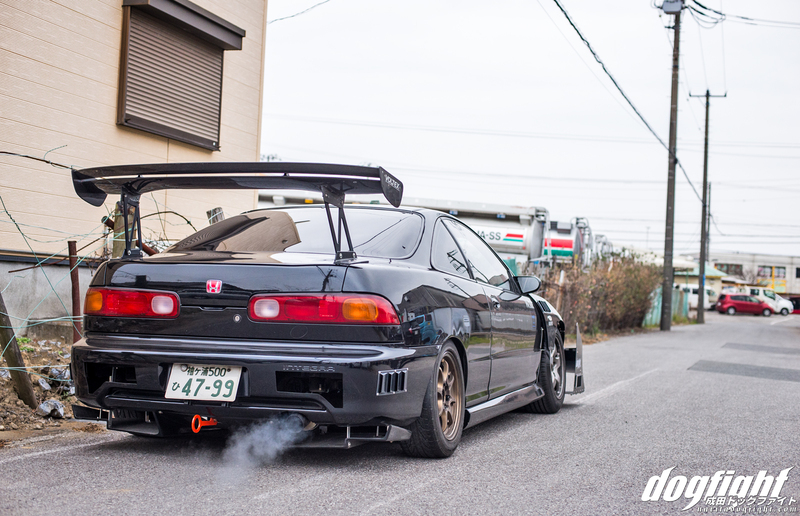 Sato employs the help of a mildly tuned B18c to pull the DC2 to, around, and from the circuit. Aside from intake, header, and exhaust, the motor sports a set of Toda Spec B camshafts, and some ancillary head parts. 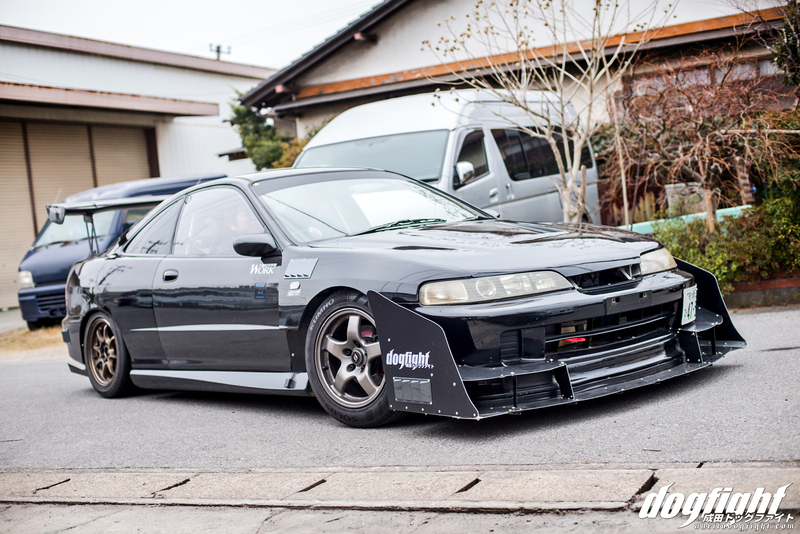 Other than that the B-series remains relatively untouched. You would think differently on track though, as Sato is able to pilot the car around TC2000 in a remarkable time of 1’02.328 on radial tires. 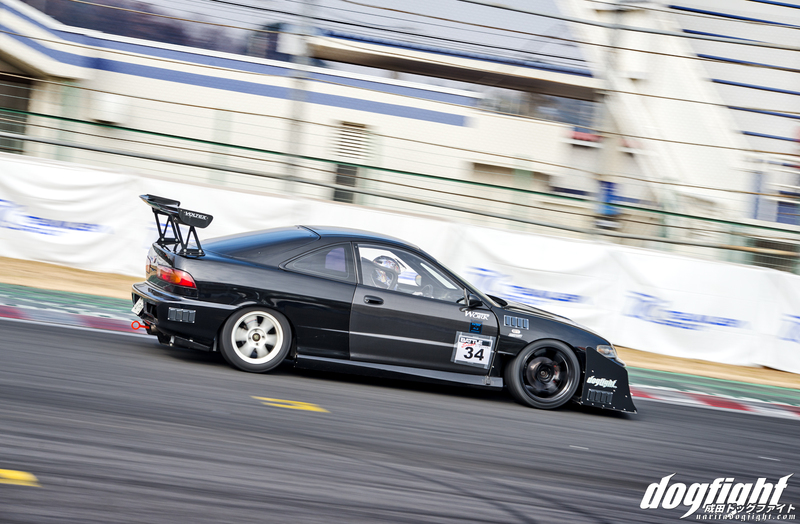 Garage Work has a close relationship with Tein, and they use that partnership to it’s full advantage, often spending several track days testing out various spring rates and dampening levels to accommodate their driving styles. Makoto helping out Sato change wheels and tires before heading out for one last session. The car does look quite good out on track. 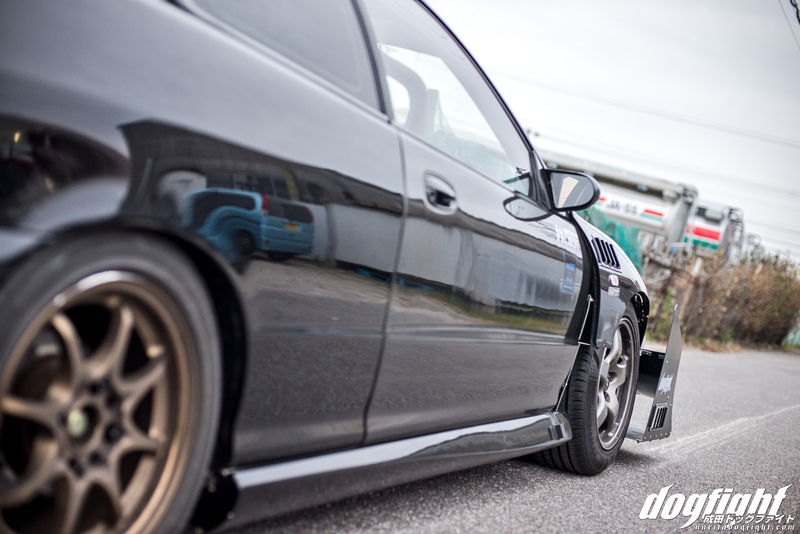 Malicious in appearance, the track setup consists of 17″ Volks up front and 16″ SSR’s in the rear. No doubt with more fine tuning this car can get ever closer to the one minute mark. Look forward to more Garage Work updates in the future. Cheers. What tires and sizes are they using on the track set up? This car is sick. Looks super fast, thanks for the post.